Since opening his law practice in 1997, Chapel Hill attorney, Brian D. Westrom, has been specializing in cases of personal injury, auto accidents, job or work injuries and workers compensation claims. His law firm is committed to helping accident victims and their families achieve justice and the compensation they deserve. Unwavering in his commitment, Brian Westrom has been helping his clients put their lives back together since 1997 and his number one goal is to successfully prosecute your case. Brian Westrom’s law offices provide experienced legal counsel for traffic cases that include traffic violations, traffic tickets, DUI/DWI cases and revoked or suspended licenses. His firm also serves clients in cases of wrongful death and denied insurance claims and provides legal attorney services for IRS and North Carolina tax issues. With offices in both Chapel Hill and Raleigh, NC, his law firm is able to offer legal representation throughout all of North Carolina. The Chapel Hill office is located at 1340 Environ Way in Chapel Hill, NC and serves clients in the communities of Chapel Hill, Carrboro, Hillsborough, Burlington, Graham and Mebane NC. OVER 18 YEARS OF EXPERIENCE IN ALL ASPECTS OF PERSONAL INJURY LAW AND TORT LAW. EXPERIENCE IN BOTH DISTRICT AND SUPERIOR COURTS. MEMBER OF THE NORTH CAROLINA ADVOCATES FOR JUSTICE. MEMBER OF THE NORTH CAROLINA STATE BAR. MEMBER OF THE FIFTEENTH JUDICIAL DISTRICT. When you are physically injured, whether through negligence or the intentional act of another person or company, you may have a personal injury claim. You may be seeking reimbursement for medical expenses, pain and suffering, loss of wages or other damages. Motor vehicle accidents are one of the most common causes of personal injuries and can involve motorcycle, automobile, truck, pedestrian or bicycle accidents. 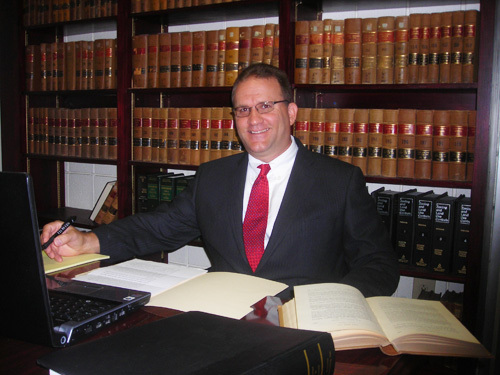 Brian Westrom is an experienced Personal Injury Attorney practicing in district courts in Orange, Chatham, Wake, Alamance, Durham and surrounding counties of North Carolina. It makes sense to hire an experienced traffic attorney to assist you in handling traffic tickets, moving violation and other driving or license issues. If you’ve been accused of driving while intoxicated or driving under the influence (DWI, DUI), you need an excellent criminal attorney to represent you in court. Our office also handles criminal cases if you have been charged with a misdemeanor, low-level felony or petty offense. Brian Westrom has successfully represented business and individual clients in dealing with the IRS and the State of North Carolina on tax issues. You may have various options open to deal with the tax problems and our office has the knowledge and experience to find the right solution for you. Our tax attorney representation will be efficient and cost effective while resolving your tax situation. The Law Office of Brian D. Westrom serves the communities of Raleigh, Chapel Hill, Carrboro, Hillsborough, Burlington and Pittsboro NC. Our office is located at 1340 Environ Way in Chapel Hill, NC.